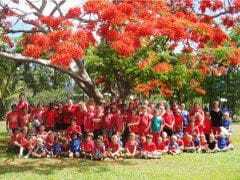 It is about educating children and adults about keeping kids safe through child safety and protection initiatives. 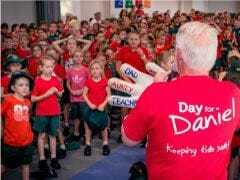 It aims to help empower our children to 'Recognise, React and Report' if they feel something is not right. 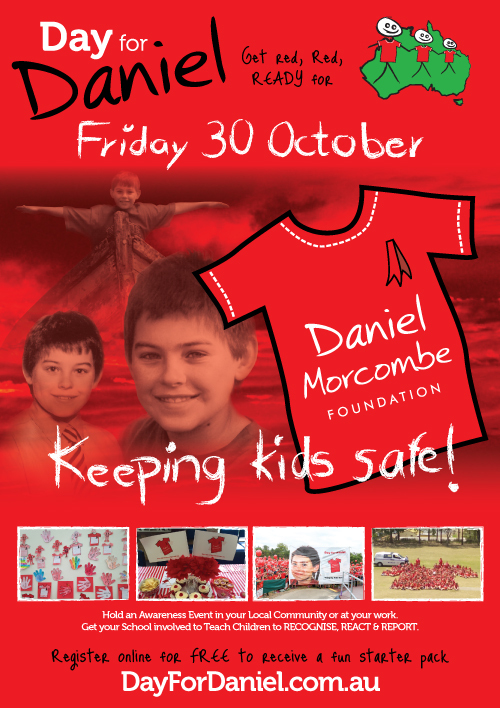 Wear Red and Educate is the theme of for Day for Daniel as we strive to have schools, kindergartens, businesses and communities across Australia take action and conduct child safety activities in their local communities to help in 'Keeping Kids Safe'. 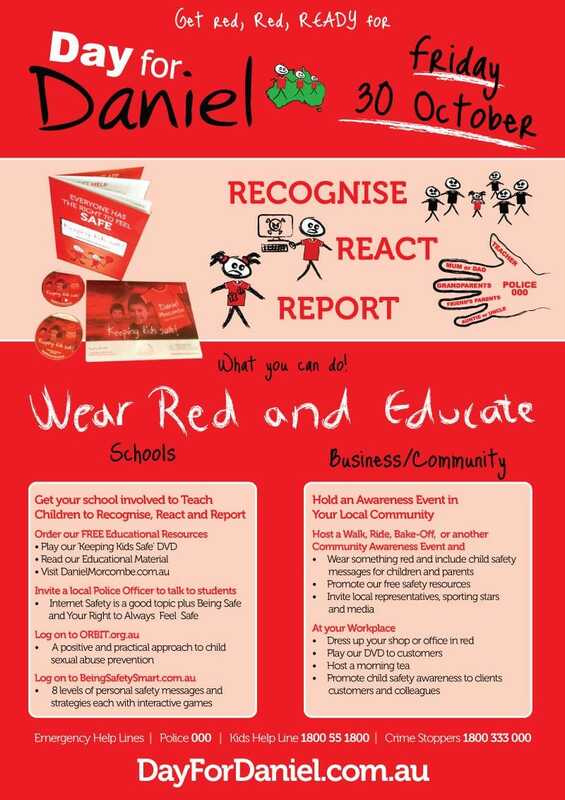 To educate children regarding their personal safety and empower them to 'Recognise, React and Report'.